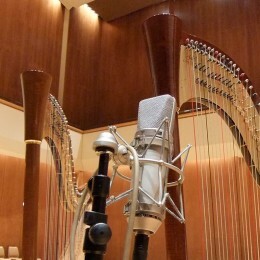 The Atlantic Harp Duo is looking for someone to be the « voice of Ariadne ». As the development of Ariadne Rediviva progresses, it will soon be time to record the narration for use in the show, and we need to find the right voice for this role. That’s why we’re reaching out to you, to ask if you would like to be a part of this project. We want the reading of the narration to create a storybook atmosphere for the audience. We are searching ideally for a female narrator, with native or near-perfect English, who speaks with an « international » accent (non-region-specific). We are also hoping to find someone who loves telling stories and whose expressive interpretation will capture listeners and draw them into the story.